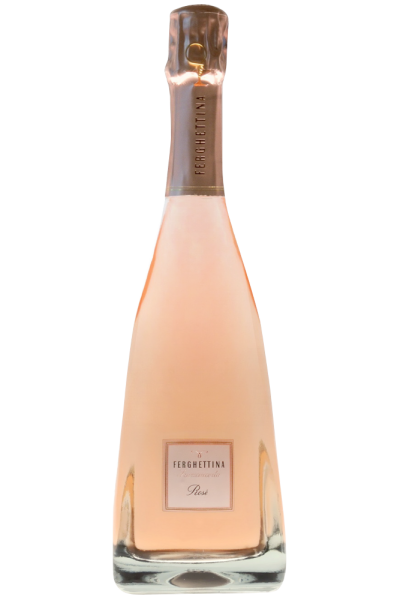 100% Pinot Noir for this Franciacorta Rosé of rare beauty, a tasteful and refined bottle, to the point of being enveloped by paper with a UV filter to protect this nectar from light. Nothing is left to chance at Ferghettina! But here we do not talk about the usual rosy bubbles, this sample is a challenging vintage that was missing in the economy of the offer of this territory. It stands out among all because beautiful inside and out, incredibly versatile at the dining table and unforgettable to mind and heart ... a wine that is good! Bright pale pink, it has an enveloping and immediate smell which reminds bread crust and raisins, berries and strawberries, with a note in the background that recalls almond. The soul of the vine stands out clearly and cheeky at tasting, with a fresh body, snappy and incredibly precise in flavour. Try it with octopus Luciana-style and mullet soup, surprising with pasta and beans!